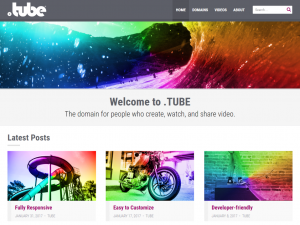 The .TUBE WordPress Theme is designed for people who create and share video. It provides a modern Booststrap-based layout with large featured images, and looks great on mobile, tablet, and desktop. Plus, the .TUBE Theme for WordPress has plenty of customization options, is child-theme-friendly, and includes tons of action hooks and filters for the more technically inclined.